Caroline is a Registrar Assistant for the GHG Management Institute. In this role, Caroline oversees proficiency exam marking and certificate issuance. She also helps process learner enrollment and financial aide applications. Currently, she is a first year doctoral student in city and regional planning at the University of North Carolina at Chapel Hill, where she studies the intersection of energy and affordable housing. She recently received her Masters in Urban Planning from the Harvard Graduate School of Design. 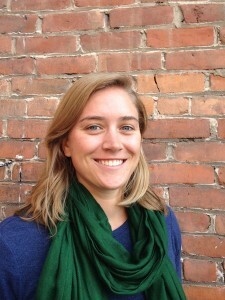 Prior to starting graduate school, Caroline worked with the City of Missoula, MT and Climate Smart Missoula on measuring municipal and community carbon emissions, using the results to steer implementation of Missoula’s community climate action plan. Caroline and her dog Izzy are frequently found outside running, mountain biking, and hiking.